All that and much, much more in Episode 49, so check it out! Plus Podkicker, Libsyn, and wherever else you might get your podcasts! Lots of people like Mastodon, right? I tend to think so. Anyway, they’ve announced a return to the writing process. Which means a new album is coming… eventually. More rough news from Bad Brains. Frontman H. R. (Paul Hudson) is suffering from a rare neurological disorder that brings on sharp headaches. A crowdfunding campaign has been started to help absorb some of the treatment costs. Opeth making an appearance for the second straight day. And it’s big news. They will be playing the Radio City Music Hall in October. This is a special occasion indeed. I probably won’t be there. Haven’t had a new tour announcement in a couple days, so why not now? Eyehategod will be hitting the road with Discharge and Toxic Holocaust. With Tau Cross’ self-titled album (which picks up where Amebix’s 2011 release left off) gracing so many “Best of 2015” lists and Killing Joke (to whom so many compare Amebix) releasing their fifteenth studio album Pylon on October 23, 2015 there’s never been a better time to discuss Amebix’s debut LP, Arise! 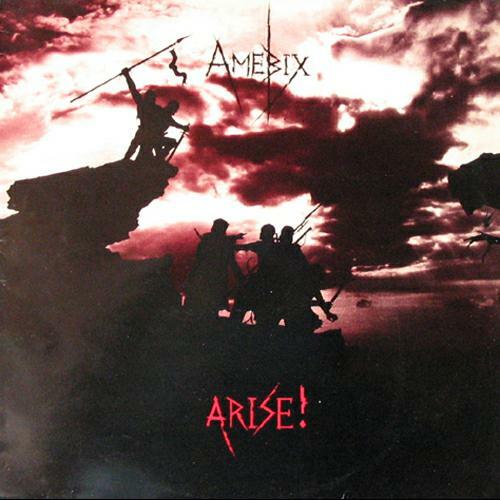 Released in 1985 on Alternative Tentacles, Arise! forever changed the heavy music scene by blending the burgeoning, aggressive sound of crust punk with elements of metal and gothic metal to make a crossover album for generations to come. Amebix would go on to release only three albums in their entire career although, those three albums would be landmark releases. Those other releases are: Monolith, in 1987 and then Sonic Mass another twenty-four years later in 2011. GOOD MORNING VIETNAM. Punk legends Discharge are reformed, writing new material, and have recently signed to Nuclear Blast Records. Color me surprised, because this news totally flew under my radar. (Everyone blame Corey!) Details are pretty scant at this point: There’s a new lineup of members, some new and some not, and a new album will be out through Nuclear Blast at… some point. Discharge has been a mainstay in the punk/metal scene for years, and the new single “NWO” proves that, sometimes, sticking to your guns yields the best results. If you’re a Discharge fan, there’s not much to dislike here: The same monochrome, ugly, punk/thrash riffs serve as the centerpiece of the song, the drums blaze along with the namesake beat that they created, and new vocalist JJ may as well be a younger incarnation of Cal Morris. A dissonant, shreddy bit makes its appearance in the middle and disappears quickly as the maelstrom continues, and as Discharge are known for doing, they make their point, get out, and leave us bruised, sweaty, and hungry for more. If “NWO” is any accurate indication of what to expect from the new Discharge album, sign me up immediately. 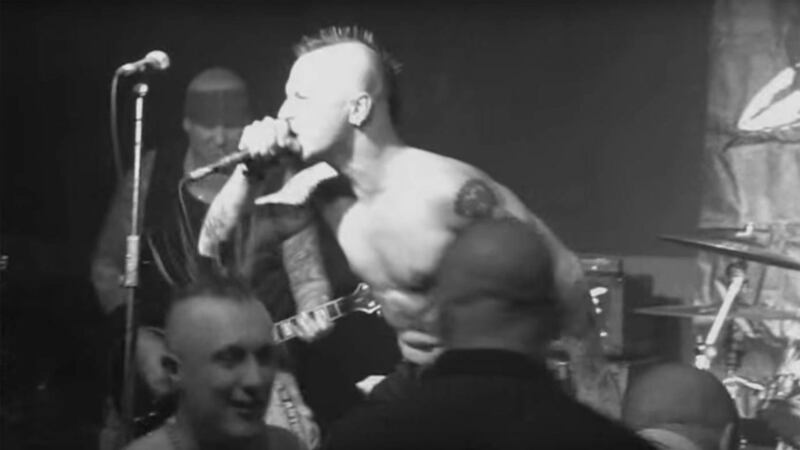 As we’d expect for a punk video, there are plenty of mohawks, sweaty dudes, and circle pitting. (What else did you expect?) Check it out below and get your adrenaline up to muscle through Monday.